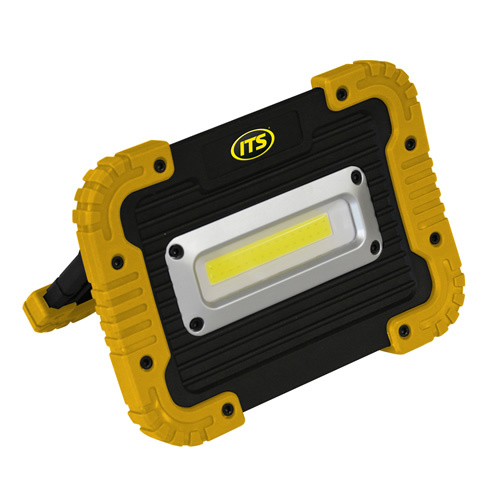 ITS LED lamp 5 Watt with COB LED strip producing 480 Lumens output, 7 Point adjustable stand/handle with robust elastomer bumpers for on the job protection. IP65 protection rated making it dust and water resistant. Requires 4 x AA batteries (not included) providing 5-8 hours run time.